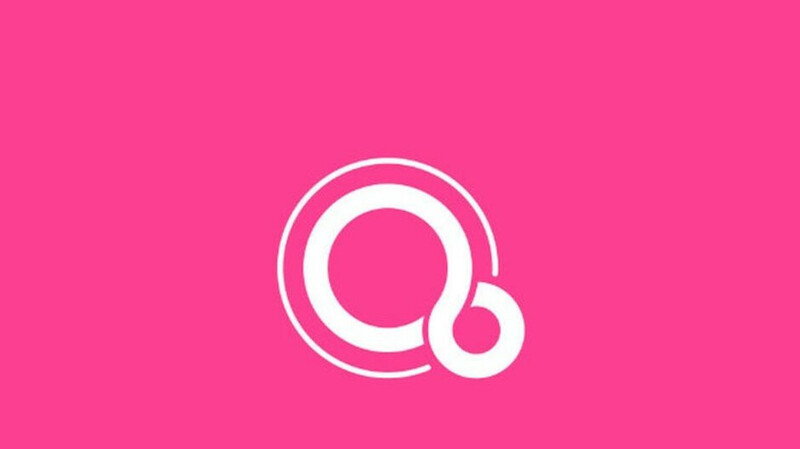 For the past two to three years, Google has been hard at work on an entirely new operating system dubbed Fuchsia. This is expected to replace Android eventually and if the company’s latest hire is anything to go by, it could happen sooner rather than later. Throughout his time at Apple, Stevenson has worked on a number of cloud-related projects such as AirPlay, iCloud for Mac, and Find my Mac, while also leading various projects related to Mac OS X. More recently, though, he has been the Senior Manager for Mac/Windows Program management. This involved leading the teams responsible for build and release of every Mac OS version since 2012. The Apple veteran also has experience when it comes to building apps for each ecosystem having worked with both hardware groups and third-party developers over the years. This could come in very handy when it comes to preparing apps for Fuchsia as well as fully integrating support for Android apps. Google itself is yet to acknowledge the Fuchsia project so it’s currently unclear what kind of launch timeline the internet giant is aiming for. But with a team of over 100 people reportedly working on it and a number of recent developments, there’s a chance Google will make some kind of Fuchsia-related announcement by the end of this year, even if the release date isn’t near. This is gonna be the best is by far, iOS won't stand a chance. Yeah, sounds like Apple to sit down and take an L on their biggest product line. Nah, competition is good and iOS will improve. This has got me excited. OS world was kind of stagnating already. I mean how much could they change Android? Just small shuffles here and there for the sake of doing it. Finally will get to see something completely built fresh from ground up. I don't know how I feel about this. I understand that Android won't be around forever, but look at how long Windows has been around. Unless they are building it up with Android as a base, I don't see this as a viable replacement for Android. And will this OS be locked to google hardware? what will other OEMs rely on? will samsung release Tizen in full force? will LG bring WebOS to mobile again? BOI.... will BLACKBERRY COMEBACK! I think it will be like Windows on PC where Microsoft licences the OS for OEMS. But this time with some few tweaks. "And will this OS be locked to google hardware?) No Fuchsia is open source. Fuchsia is already open source. You gotta change your news sources buddy. As for Samsung adopting Tizen, for god's sake! Save us from that s**t. Google about what Israeli tech firm had to comment about Tizen. Google is mainly building this to get off the Linux platform which Android is based off of. They been bumping heads in the past so now Google is basicly telling Linux that they don't need them. If this does pan out the duopoly could die. If apps and services are web based (which I hate btw: Useless brick without internet). Companies should get to work. I wish Samsung did more with Tizen, it works so well with the Gear watches. Then again, Sailfish hasn't flourished as one would've wanted either so let's see if Fuchsia gains any traction. Did more what? Watches and phones aren't the same thing. Tizen is a unnecessary dead weight on the earth. Do you know what an Israeli tech firm had to say about Tizen? Tizen is trash! It's so weak that NSA was snooping on all Tizen enabled devices in USA. It's code is such a trash that even an undergraduate teen in software development could do a better Job. Tizen would ring death bell for Samsung. If Android will be phased out later, then this is just about reinventing the wheel. The problem is that Android has some resource issues that no amount of optimization could do away with. This Fuchsia runs on a completely different base (Zircon Kernel) to Android (Linux kernel) but should essentially support all Android apps and according to rumor even iOS apps. It's also intended to work on pretty much any device, smartphone, smartwatch, laptop, tablet, smartspeaker and more. Only the veterans , Google. The new programmers let's the system with a lot of bugs. I believe Fushsia will become more iOS like and have less customization. I hope this brings on another android based OS. Not in the mood for an OS loaded with Google's spy crap I think I will go with Microsoft if it ever materializes. You are already being spied on by Google with pretty much every app and in pretty much every sphere of your life. Google is free. And when service is free, customer is the product. Why do you think it's going to be suddenly drastically worse with Fuchsia ? LMFAO! And btw the world doesn't run on your beliefs. Fuchsia is Open source. Already said by Google. So no, never even closely like iOS. Android is a pretty phenomenal OS that has evolved significantly over the years, I'm not sure how I feel about the interface of Fuchsia based off some videos of excessively early builds, but if Google is confident enough that this new OS is a vast improvement over their current offering then count me in. I love tech, and I love tinkering with new devices and software. I just hope that the new OS is super efficient on system resources, especially the battery. I don't really think Fuchsia is gonna replacing Droid nor Chrome, instead of replacing the whole OS, probably it will be replacing the Linux Kernel, so Google will gain more control on their platform.